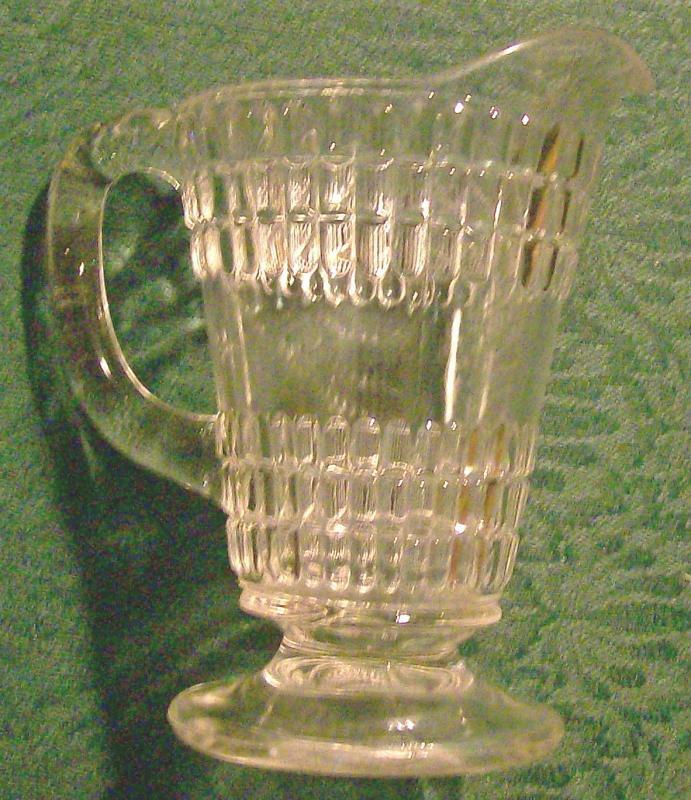 Early American pressed glass creamer in the "Double Beetle Band" pattern. 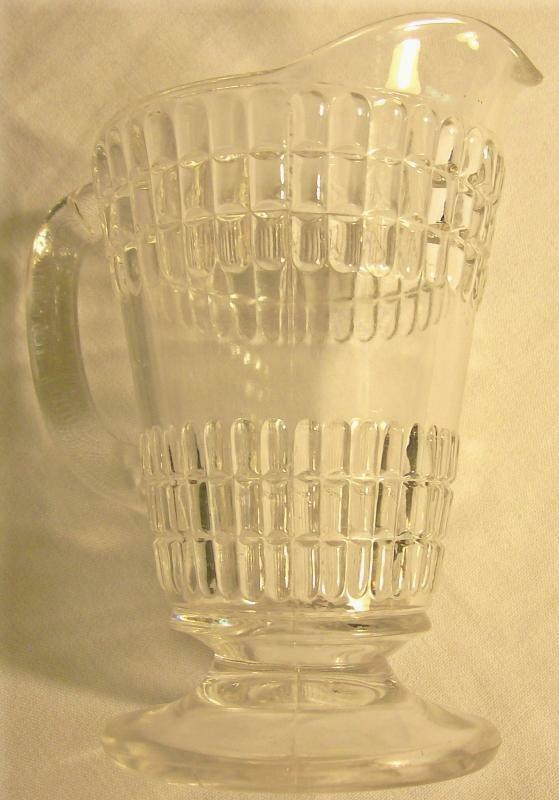 Made by the Columbia Glass Co., ca. 1880's. 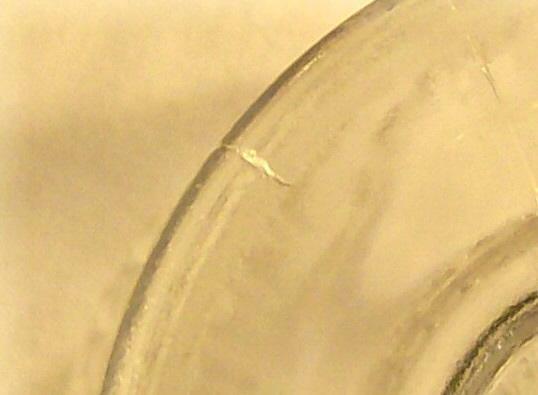 Clear glass, measures 5.25"h. No chips or cracks, but has a cut or separation in the edge of the foot as shown. Sold as is. Inglenook Antiques...Established 1989. 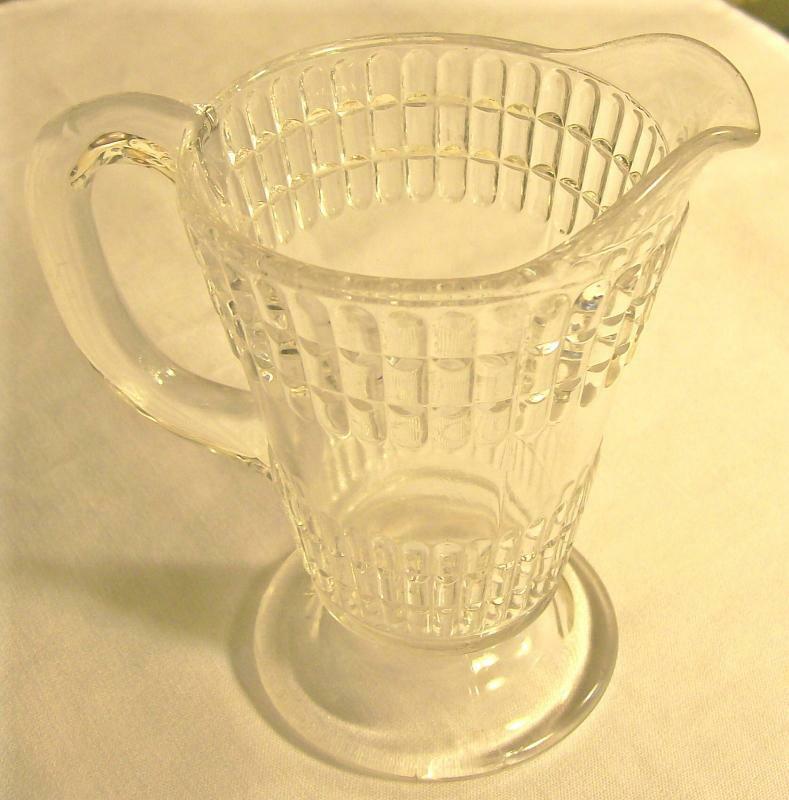 Items Similar To "Columbia Double Beetle Band Creamer Early American Pressed Patter..."